liste yves cazorla watch Since I started riding the train 2 hours a day, I have had a lot more time to read. Sometimes I read fiction but I also love history (I even considered studying history for my degree at one point but then realized I wanted to have a steady income). If you really want to see books of substance that I read or am interested in reading, check out my Goodreads page. photos vtt canyon torque 3 2006 go One of my biggest problems has been finding the books that I want to read in the eLibrary has been difficult. Sometimes I get lucky, but many of the books that I want to read are simply unavailable through my Kindle. I rarely buy books because I read so quickly (exceptions are Baha’i books, references guides, and cookbooks). I’ll have to get hard copies through the local library, I guess! 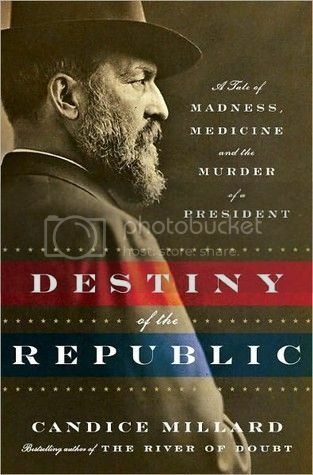 jenny lago twitter check Destiny of the Republic: A Tale of Madness, Medicine and the Murder of a President – This book broke my heart a little. By all accounts, James A. Garfield was an incredible man and President, and I wish he had lived longer. The historical richness of the book, especially the descriptions of how early Presidents dealt with the daily work of the White House, kept me engaged. http://intoactive.space/2018 week tegen kindermishandeling Unbroken: A World War II Story of Survival, Resilience, and Redemption – by the author of Seabiscuit, this book kept me up until 1:30 am on a work night, and I was astounded by the amount of research and detail that went into it. Some of the book is hard to read because of the descriptions of the mistreatment of POWs during WWII, so if you’re sensitive, keep that in mind. http://singweight.download/2018/08 bright smile online In the Garden of Beasts: Love, Terror, and an American Family in Hitler’s Berlin – One of my favorite books is “The Devil in the White City”, and Erik Larson does it again with this meticulous, scary book about the years leading up to WWII. I’ve read a lot of books about the war, but very few about what pre-war Germany was like, and it was terrifying to see parallels in current events with the lack of empathy that people had for their fellow human beings. blue gold rims there Quiet: The Power of Introverts in a World That Can’t Stop Talking – Clearly written, especially helpful if you’re an extrovert like myself who wants to better understand the introverts in their lives. Lots of data combined with storytelling.